A panorama can be shown in several projections. The most popular projection is equirectangular or cylindrical projection. In this projection, the x-axis is the horizontal angle from the observer and the y-axis determine the vertical angle from the observer. 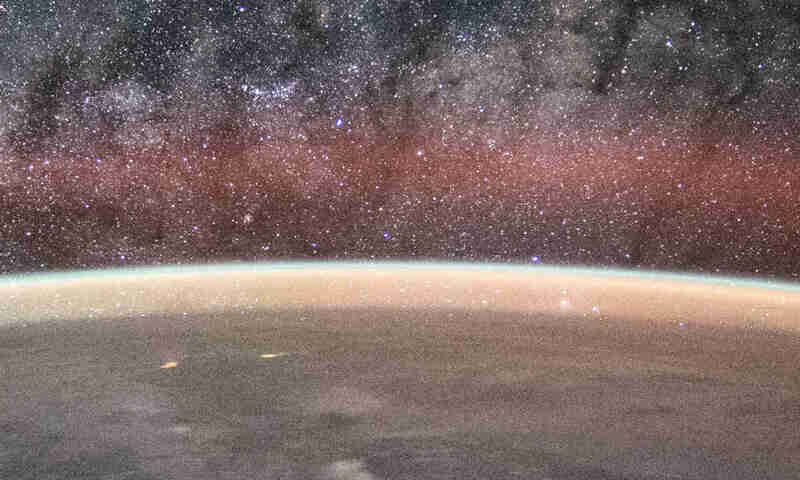 Because the angle to the horizon from a specific altitude is always constant, the horizon would appear flat in this particular projection, provided that the image is level. There are others projections too. Another popular one is the stereographic projection, also called the little-planet projection. It shows the result like a little planet and usually used for novelty. Flat-Earthers often took the flat horizon from the equirectangular panorama and use it as ‘proof’ of a flat horizon. The most popular set of panorama images abused by them is the “Flight to stratosphere above the Caucasus Mountains”. There are several equirectangular & little-planet panoramas in the collection, as well as an interactive panorama using the general perspective projection that shows how the scene would look from a human eye. Flat-Earthers, predictably, cherry-picked only the images where the horizon appears flat, and ignore the others clearly showing the curved horizon. 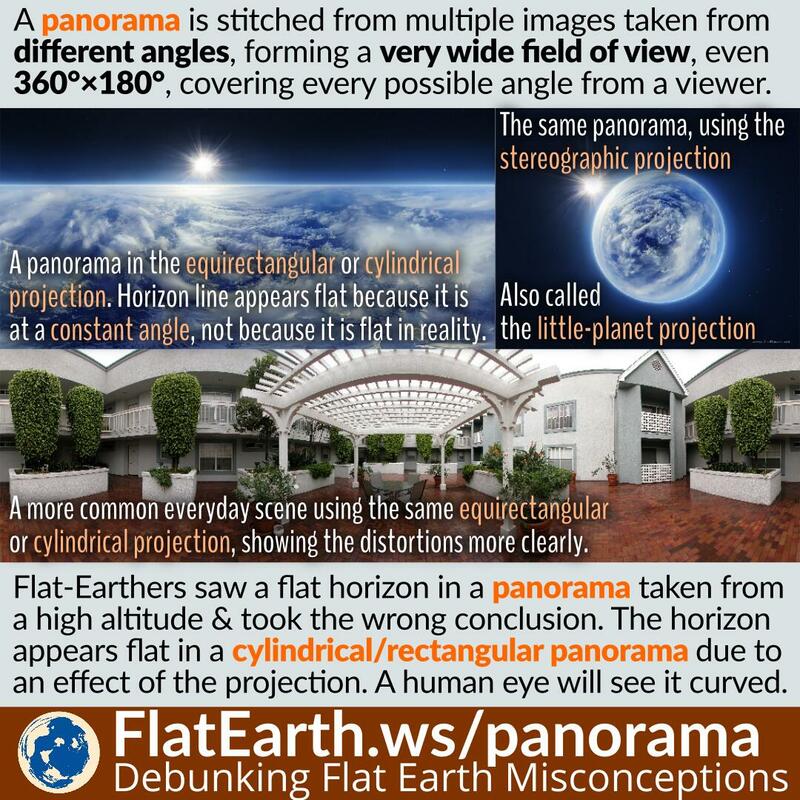 This is an interactive version of the panorama image often presented as “proof” of a flat Earth.